Welcome to our new venture as an online store i.e. Adreamshop.in for those who really want to decorate their HOME & OFFICE like a dream one. 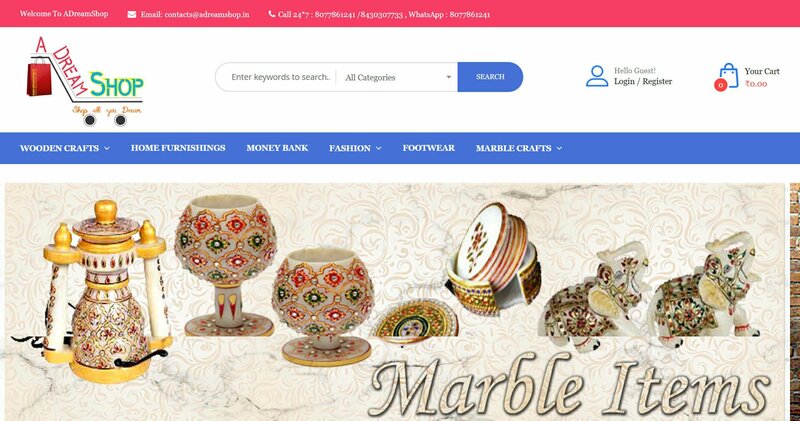 ADREAMSHOP.IN is an online portal who gives you amazing, attractive & adorable products for you, your home & your Offices. Creations might be quickly sold out because we do not keep a lot of stock – so you have to purchase quickly to avoid out of stocks. Our designs are super unique and Provide class. Every day we work hard to ensure that our products are absolutely unique, beautiful and trendy. We make the antique items accessible; provide the prettiest pieces in town and hand-pick the patterns and designs. We triple check each product before we put it online and send it to you. We personally look at things like color, design and quality to ensure that everything is perfect.